No new material from yesterday as no site visit but I did have one "stock" item which turned out to be the above. Not new for me but I keyed it out in Duff anyway. 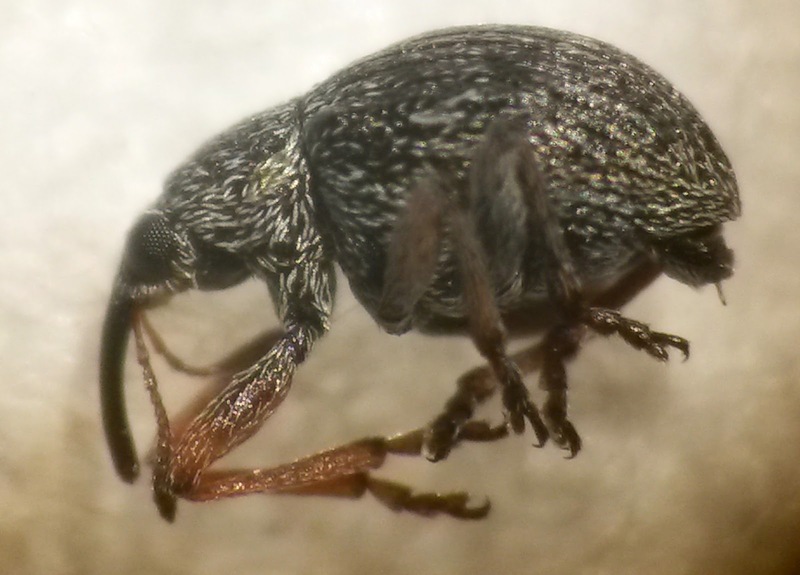 Since I had no new material I carried on with a box of unresolved weevils and managed to get at least one out, though I find the keys frustrating. Keys always require a bit of prior knowledge or help to know what exactly they mean by what they say. I probably would have been happy with 5 beetles in January, though I imagine that only shows a paucity of imagination and/or determination. I'll have to up my beetle game quite a bit if I'm going to complete the target 100. The month will close out somewhere just shy of 240 which is a decent start and ahead of my revised target.